Your Medicare Supplement Plan is NOT a PPO. An MAPD plan, including the PPOs are Medicare parts A and B (and part D) that are managed by private insurance companies. These are considered “managed care” plans, even though you may not need to get a referral from a primary care physician. The insurance companies get a set amount of money per month (known as a capitation rate) from Medicare to manage your care. The insurance company must accept anyone with Medicare Parts A and B into the plan, except those with end stage renal disease. These plans can change their benefits every year, which is one of the reasons Medicare Enrollment season (October 15 through December 7th) is so busy with advertisements each year. Your Medicare Supplement Plan is not a PPO, and it is not an MAPD plan, and does not have an enrollment period. A Medicare Supplement Plan, which may also be known as “Medigap” or “secondary insurance” is not managed care. 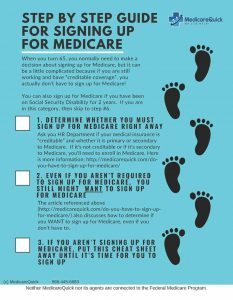 Except for the initial enrollment period and other exceptions, you do not have a “guaranteed issue right” to a Medicare Supplement Plan and must medically qualify under the insurance company’s rules. However, the plans are standardized so one company’s Plan A,B,C,D,F,K,L,M or N will pay exactly the same as another insurance company’s plan of the same corresponding letter. Terminology leads to a lot of confusion, and can mean that your doctor may tell you “I don’t accept Medicare” when he or she actually DOES accept Medicare part B. What that doctor might be trying to say is “I don’t accept MAPD plans”. Your Medicare Supplement Plan is not an MAPD plan, and your Medicare Supplement Plan is not a PPO. For a Medicare PPO (MAPD) you will have an enrollment period after you become eligible. This enrollment period is from 10/15 until 12/7 of every year and the insurance goes into affect January 1st. Medicare Supplement Plans (some doctors call this “secondary insurance” do not have an “enrollment period” beyond your initial eligibility. You can, however, apply for a Medicare Supplement Plan at any time throughout the year. This is because your Medicare Supplement Plan is not a PPO, it is not an MAPD plan. In general, if your plan has a co-pay it is most likely an MAPD plan. However, some Medicare Supplement Plans have copays, so go here for more information on this. Plan F, the a popular Medicare Supplement plan in my area, does not have any copays. No new Supplement Plans cover Part D Prescription Drugs. If your plan has drug coverage, it is probably managed care (MAPD), not a secondary insurance or Medigap Plan. If your plan has a network, even if you can go out of network, it is an MAPD plan, not Medigap. Network = Managed Care, or MAPD. Medicare Supplement Plans are not PPOs, so there are no networks. You don't have to worry about paying more when you go out of network, because your Medicare Supplement Plan is not a PPO, and it does not have any networks. So in short, take a look at your coverage. If you have a network, even if you can go out of network, then your plan is an MAPD plan, or managed care. This is what a doctor means when he or she says, “We don’t accept (company) Medicare Plans.” Normally they are talking about MA or MAPD plans with that company when they say that they do not accept (company name) Medicare plans. Because many doctors THINK that they do not accept Medicare Supplement plans when they actually do, instead of asking “Do you accept (name of company)?” ask this instead, “Do you accept Medicare Part B as Primary?” If they say YES, then they DO accept Medicare, AND they must accept your secondary insurance, regardless of who your carrier is.